presents the 1st edition of “Together Music Festival”. music event that gives a nod to the major world festivals of the genre. prodigy Julian Jordan (class ‘95 and already an idol of his generation). purpose of sharing, contamination of personality and musical proposals. 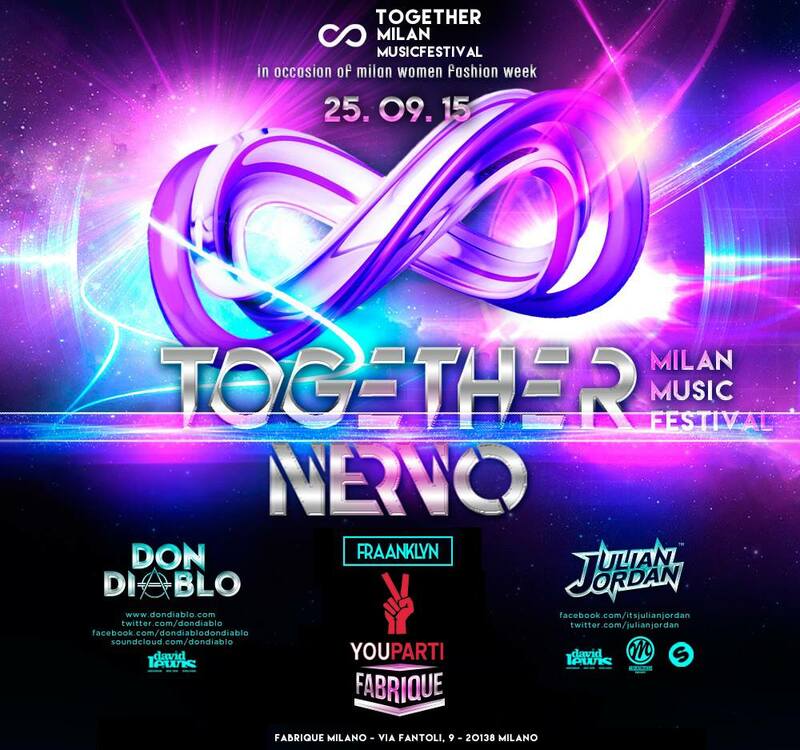 “Together” will be hosted at Fabrique in Milan, on September 25th 2015.